That’s me! My infectious enthusiasm for the sport of ballooning took shape as a youngster, chasing down balloons on my bike during the early years of the Adirondack Balloon Festival. A few years after graduating from SUNY Oswego, I decided to pursue my ballooning dreams and began SunKiss Ballooning. My principal training took place in Albuquerque, NM, site of the world’s largest balloon festival. My team understands the importance of ongoing training and professional development. I’m also in constant contact with pilots around the world about the latest in balloon technology, safety concerns, and more. I’ve worked with professional pilots in teaching safety seminars approved by the FAA. 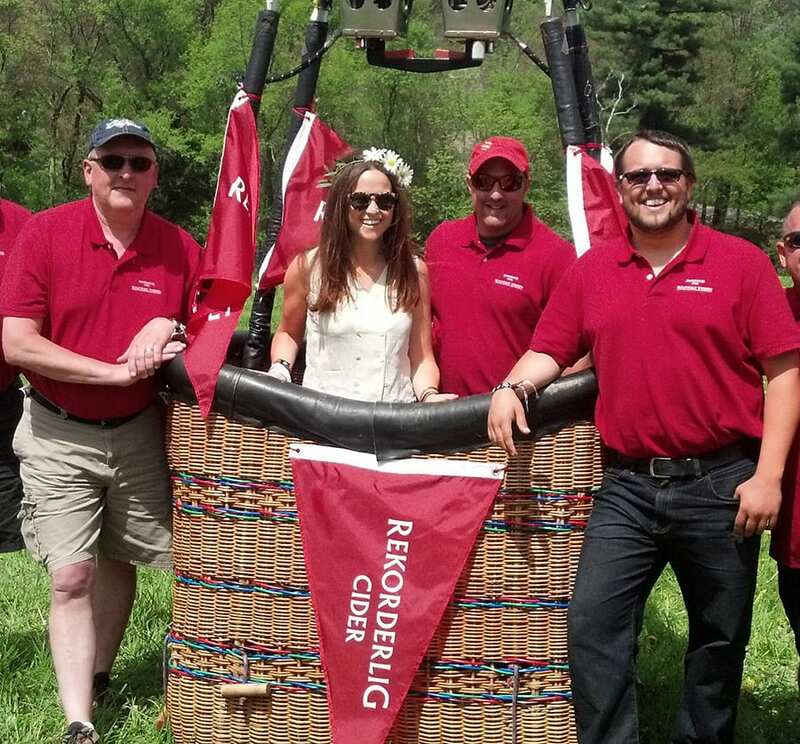 I’m eager to share my love of ballooning by providing a safe, exciting, captivating, and memorable ballooning experience for you! Dar is a local pilot and friend; He brings lots of experience to our team, operating his own business out of Binghampton, NY. He has many years experience flying various size balloons all over the US and Canada. Dar provides safe, fun, and memorable flights. Dar has experience in Special Shaped balloons as well as many various sized balloons. 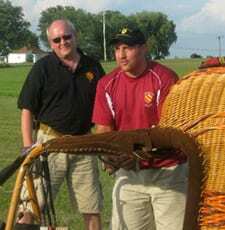 SunKiss Ballooning is truly appreciative to have Dar as on our team. Captain Mike is a local pilot and friend out of Fort Edward NY supported by his wife Ellen. 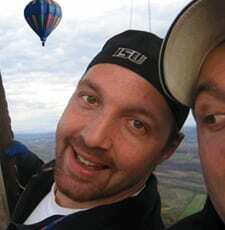 Mike has many years of experience as a hot air balloon pilot. He likes to fly safe, have fun, and make flights memorable. Mike has flown all over the USA, Mexico, Canada, and New Mexico. Mike has experience in Special Shaped balloons as well as many regular shaped balloons in a variety of sizes. 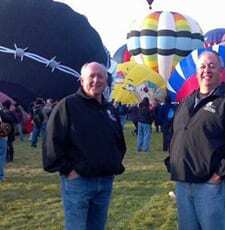 SunKiss Ballooning is truly blessed to have Mike and his crew as a part of our team. Scott is my twin brother! He used to chase balloons with me as a kid. He’s responsible for critical tasks during inflation, in addition to leading the chase crew, monitoring surface winds, and checking out landing sites ahead of the balloon. A key to safe and enjoyable ballooning is a good crew chief…we’ve got one of the best! Scott is a great help to have around, and has many years of experience at the Adirondack Balloon Festival. 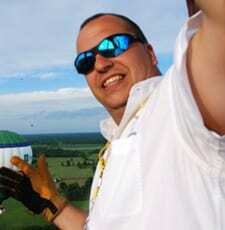 Dave White– Crew Chief	Dave is a past passenger turned balloon enthusiast. Dave’s wife purchased a balloon ride for him as a gift. After his flight we invited him out to crew for future flights and have been able to share our love for ballooning with Dave and his family ever since! You will see Dave on most flights entertaining our passengers and playing practical jokes. Dave and his wife have traveled all over with us to festivals, including World’s Largest Balloon Fiesta in Albuquerque, NM, International Festival of Balloons in St Jean sur Richelieu , QC, and Balloon Fiesta in Sussex, NB. You guessed it; Robert White is Dave White’s younger brother (on the right). We got Dave hooked, Dave got Rob hooked, it’s a chain reaction! Robert is a great help, always there when we need him. He puts his amateur photographing skills to work and gets great shots of our flights to be shared on our social media sites. Rob has also had the pleasure of taking to the road with us for the World Largest Balloon Fiesta in Albuquerque, NM and the International Festival of Balloons in St Jean sur Richelieu , QC. Dyan started crewing at age 10 at the Adirondack Balloon Festival with her mother. She continued at the Saratoga Balloon & BBQ Festival in 2017. Dyan has experiencing crewing regular and special shape Hot Air Balloons. 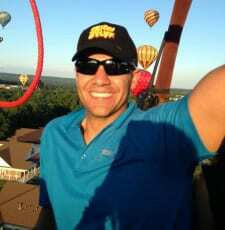 Ryan enjoyed hot air balloons since he was a young kid when he would attend the Adirondack Balloon Festival. He started crewing with his father Rob White (See Above). Ryan took his first flight in 2016 and can’t keep him out of the basket now.